Not necessarily need but after talking to Infragris I think I could put my hands on reworking some container meshes in the future. If there is an author of some previous meshes here I would gladly consult / collaborate with. This looks excellent already. Nice work, spineinside. I've been hoping this would happen one day. I'm hoping Aloe Vera plant will be remade . Irl this plant looks more spectacular. I think it definately will go along with aloe vera for HR someday too so I plan to make at least 2 models of this. The Aloe Vera definitely needs some work, I've tried fixing it myself but my skills weren't really up to it. If you remake it, make sure to give the leaves some volume. - Avoid alpha mapping when not necessary. The Morrowind engine doesn't handle overlapping alphas very well, which means that parts of the model might disappear when viewed from underwater or in the rain. There were certain nifskope settings that alleviated this. I'll be damned if I remember them, though. - Avoid flat 2D planes. These can look very strange when viewed from an angle, and play weird with MGE shadows. Personally, I find that even giving a slight bit of volume to leaves and petals gives them more life and fits better in the Morrowind flora style, but that's just opinions. - Avoid the stencil property. Apparently, this is another thing that acts weird in the engine, and can be more resource-intensive than just making a double plane. These are probably things you already knew, but I'm repeating them here for general usage. Infragris wrote: There were certain nifskope settings that alleviated this. That's fine, really. Hard edges are not to everyone's taste, but they fit Morrowind perfectly. Look at the Stoneflower or Black Anthler models, for example: simple meshes, but also very atmospheric and lifelike without being cartoonish. I need to rework strawberry, the leafs are too high poly for an engine and game performance on my old pc is decreased while putting a lot of them around. This might be a hit for exterior designers, I hope (as long as the grass is not disturbing). 3 long branches you can put randomly wherever you want, between rocks, along slopes or even walls in a city. (2 separate containers in the screen) You ca create large or small peony bushes adding several of your choice next to each other. Not really happy with a result for Peony and Tomato, will verify in a game though. Do we want it to be similar to this what we have already in a data (flytrap) or do you prefer an alternate take like bush or something else? An alternate take would be nice. The current model is pretty useless design-wise. This is some excellent work, by the way. For some of the models (strawberry, tomato) the texture should be reworked as well. The current ones seem too raw. All of those look really professionally made. I wished my plant models would look like that. @Ingragris: I think he's already using different textures for tomato and strawberry. What I can see on the screenshot doesn't look like what is currently in PC_Data. Beautiful. The blackberry could also be fitting for Falkreath. Thank you guys, we can use the blackberry for both project indeed, if you see it fitting in. It's the most probable to occur in the climate of SHotn too. At texturing, these are completely new, although they accidentally may have something in common with the previous versions. I can rework them anyway so it's optimized with a grassy ground texture, which we don't have yet. I can rework them anyway so it's optimized with a grassy ground texture, which we don't have yet. I don't think this is a big concern for the current stock plants. If you keep the color saturation within limits, as it already seems to be the case, we should have no problems adding them to most future regions. In my opinion, the displayed container plants are already good to go. They are at least 300% better than the previous ones. here are some new reworks, I plan to pack everything into one zip file while finished and tested. For mandrake root, are you going to give it a humanoid appearance do you think? That Aloe Vera looks perfect. The colors will work really well with the Gold Coast color scheme. Great work! Sweet mother of Septims, this Aloe Vera plant is perfect . 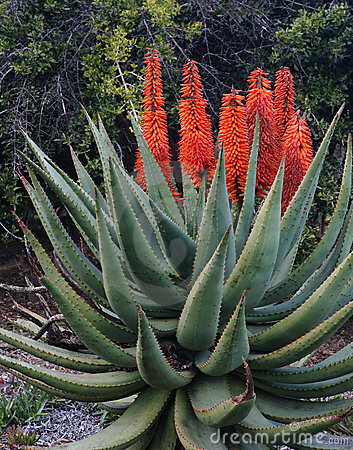 Moritius wrote: Sweet mother of Septims, this Aloe Vera plant is perfect . Infragris wrote: The colors will work really well with the Gold Coast color scheme. I can't think of another plant common for GC than Arrowroot and Aloe Vera... I don;t remember Oblivion very well. If there is any more (or the plan is up to set it) then definitely it should follow the dried-out color too (was planning to do similar color set for Mandrake). Though I love green Arrowroot in the GC surrounding, looks cool. At the moment, the Gold coast is populated with St. Jahn's Wort, Golden Rod, Fennel, Thungleweed, Ginseng, Lady's Mantle, Tiger Lily, Arrowroot, Aloe Vera and Milk Thistle. The Milk Thistle is going to get replaced with the Spike rice still. The Fennel, in particular after your model update, will not fit very well anymore. We could put more Aloe Vera in its place in order to make some use of your variants. Arrowroot is actually supposed to be a Valenwood plant and Ginseng is supposed to be found in Hammerfell. Oblivion has transplanted almost all plants from Special Flora of Tamriel to Cyrodiil, something I'm not too happy about, too. But I can live with how it is right now. Fixing every little thing I'm annoyed about, would result in an endless recursion and ultimately, who cares about this nonsense in the end? The plants I'd like to see fixed the most, myself, would be the grapes and the apple trees. I have already reworked the Skyrim apple trees at some point in the past, but I'd like the Cyrodiil apples to turn out different. For the grapes, it would suffice to replace the alpha layers with modelled berries and tweaking the coloration of the leaves. I will look about those myself. Not so important, but Domica Redwort is said to have feathery leaves, whatever that would mean for your model. Domica Redwort is a herb grown by many residents of Valenwood for their beautiful and showy flowers. They attain a height of about three feet and have feathery leaves; the flowers are usually bright red. It's not a huge piece of art, but should do its job. Lost my post (idk why, forum show me "Your message is too short") about those cactus plants ('PC_Flora_WW_Cactus_01', 'PC_Flora_WW_Cactus_02', 'PC_Flora_Sut_Cactus_01'). I'm cacti so, there's couple things I don't approve in those models - I was writing, what's wrong imho but lost this. I'm trying remake models (onr hing worth point out is very bad UV Mapping in 'PC_Flora_Sut_Cactus_01'). Moritius wrote: ... I'm trying remake models (onr hing worth point out is very bad UV Mapping in 'PC_Flora_Sut_Cactus_01'). I was trying to redo Water Hyacinth using a previous mesh and I gave up... rather decided to begin a brand new model , because triangulated UV maps are not so easy for me to manipulate with. and surely if lore says it I should add some feathery leaves to Domica. I will do probably same thing because texture is quite bad too in Sutch one. In opuntias (ww ones) it's probably possible to rescue (but texture needs to be redone, since it have some seams). Also, flowers need to be temade too, since THOSE AREN'T cacti flowers (well, ww 01 looks like some Conophytum sp. flower). Moritius wrote: I will do probably same thing because texture is quite bad too in Sutch one. In opuntias (ww ones) it's probably possible to rescue (but texture needs to be redone, since it have some seams). Also, flowers need to be temade too, since THOSE AREN'T cacti flowers (well, ww 01 looks like some Conophytum sp. flower). I've learned that seams are becoming easier to notice in CS than during texturing in a 3d program... so sometimes it's really tricky. And I would say you may feel happy to deliver more enchantment or uniqueness to your models if you want. My floras are mostly carbon copy of ordinary plants so it limits their occurrence in the world or determines it more strictly. worsas wrote: Arrowroot is actually supposed to be a Valenwood plant and Ginseng is supposed to be found in Hammerfell. Oblivion has transplanted almost all plants from Special Flora of Tamriel to Cyrodiil, something I'm not too happy about, too. But I can live with how it is right now. Fixing every little thing I'm annoyed about, would result in an endless recursion and ultimately, who cares about this nonsense in the end? Knowing the origins of plants from Special Flora of Tamriel I was kinda surprised too with some floras being commonly included in Oblivion. At least in alchemy rigorizing field you have me on your side, worsas. It is still possible to limit the occurrence of lore-unfriendly flora for mostly border areas, or just make them possible to grow only for upper class npcs or potion brewers. This is an interesting point, actually. As revisions go, it would be fairly trivial to just rename the plant containers to something more appropriate. Except that the Arrowroot matches its description in the book. Actually. I'd rather keep it and maybe replace the majority of the instances in the gold coast with spikerice or something else. These flora-replacements might be doable with tes3cmd and without additional effort, as it can also update placement to account for different height of plants. Alternatively we could just remove them. There are so many container plants in this region, it's probably harsh to say this, but few people would miss it. We could use Arrowroot for a Valenwood backdrop behind the Strid river. Some time ago I created a bunch of regional assets for the northern marches of Valenwood. I've been wanting to upload it for a while, but keep forgetting about it.